Are there parking spaces near the B&B Arvé? Yes. The parking lots in the Church of the Annunciation are the closest ones (10m from the B&B). Other parking lots are present in the road that leads to Veravo (50m from the B&B). Yes. Breakfast is Italian, but if you have special nutritional needs, just report it to the owner when booking. Are sheets and towels included in the price of accommodation? Yes. Each guest will have at his disposal: shower towel, face towel and guest towel. Is the B&B Arvé on a single floor? No. The B&B is spread over 2 floors. The sleeping area is on the ground floor and on the first floor while the living area is on the top floor. Completing the structure 2 panoramic terraces accessible from the top floor. Access to the bathrooms is direct from the bedrooms? No, the bathrooms are external to the bedrooms: one is on the ground floor and the other on the first floor. How far is the B&B Arvé from the sea? 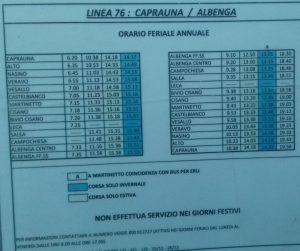 The nearest sea is that of Albenga, which is 17 km away from the B&B (about 20′ by car) while the one at Alassio is 20 km (20′). 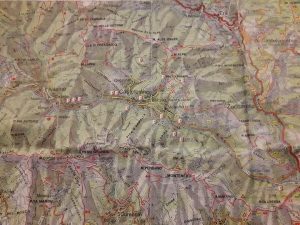 Is B&B Arvé in the center of Castelbianco? The B&B is in the center of Vesallo, one of the 4 villages that make up the scattered municipality of Castelbianco. Vesallo, Veravo (municipal capital) Oresine and Colletta are the 4 hamlets that make up the municipality of Castelbianco. Are there public transport to get to the B&B Arvé? Yes. 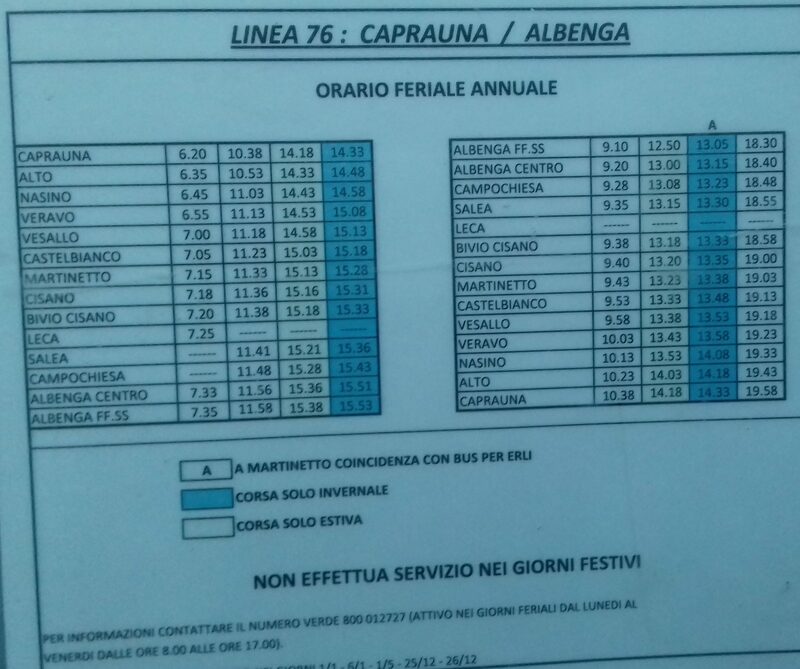 From the Albenga train station you can reach the B&B Arvé by bus. Following summer and winter times and stops (click on the image to enlarge). Are there hiking or MTB trails? Yes. Pennavaire Valley offers several routes where you can run or practice trekking and mountain biking. Following the map of the paths (click on the image to enlarge). Are crags and trekking and MTB routes accessible by car or can you start on foot from B&B? The sectors to climb closer to Vesallo (Malavoglia, Bausu, Fontana, Garda and Galera) are reachable on foot starting from the B&B Arvè (min 20′, max 30′). For our approaches, our guide is available. From the B&B Arvé there are also several trekking and MTB routes. Following the map of the paths (click on the image to enlarge). In Pennavaire valley it's possible to climb both in summer and in winter? Yes. There are cliffs with exposures such as to remain in the shade in summer (Hemisphere, Ciusa, Erboristeria, Reunion, …) and in winter sun (Terminal, Garda, Galera, Bausu, Euskal, Colosseum …). The holder lives in B&B? Yes. He lives in the B&B with his cat Cleo and his dog Kira. Are pets allowed in the B&B? Yes, but their presence must be notified in advance to the holder to be evaluated according to the presence of other guests.